Big big sound for songwriter’s third album in three years. 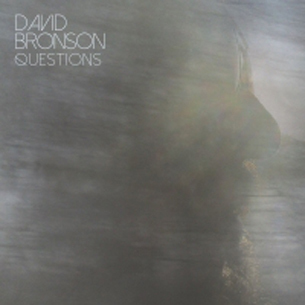 When I reviewed David Bronson’s debut album STORY three years ago I thought it was enjoyable, interesting and bode well for the future; but could never have imagined that he could produce an album of the magnitude of QUESTIONS three short years later. As this album sounds so very different from his previous offerings and the multi-tracked production and multitude of musicians has had my head spinning until it dawned on me what it reminded me of. If readers of a certain vintage can cast their minds back to the 1970’s they will remember when it was fashionable for singer-songwriters to write the score and soundtrack for Films and Theatre Productions and this is what QUESTIONS sounds like to me. There is a narrative and a flow from start to finish, as if the songs are describing events that are happening before your very eyes; and the big, brash production helps support that theory at times too. Bronson is a dab hand with clever, intelligent lyrics and isn’t afraid of a melody on his songs; which is becoming a rarity these days; with both All These Things and Task passing the hum-a-long test and sound like they were written with large excitable audiences in mind. Song Of Life is by far and away the strongest song here and probably the best that Bronson has put on disc; uniting the best of Billy Joel, Ed Sheeran and Paul Simon over a tune that has taken a lot of influences from Albatross and While My Guitar Gently Weeps to create something of rare beauty that will sound as perfect on daytime radio as it will on headphones in the confines of a darkened bedroom. With quirky singer-songwriters being back in vogue QUESTIONS and David Bronson himself just might be the ‘next big thing’ – you heard it here first.